After learning about the Dynamic Disks feature in OVF, I decided to revisit OVF Deployment Options again and investigate whether it was possible to include all four computes (CPU, Memory, Storage and Network) as part of the deployment option. 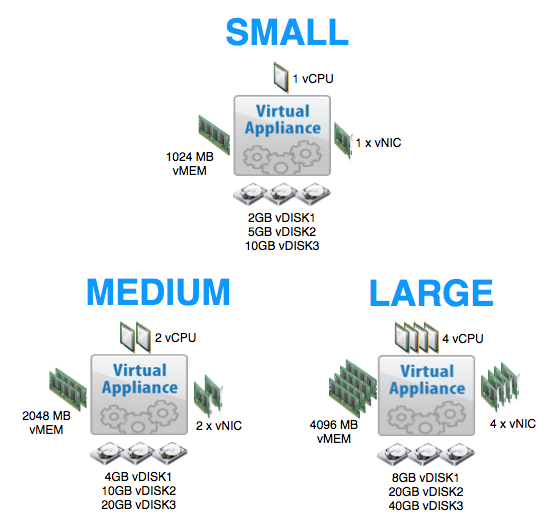 What would be really nice is to have a flexible deployment option which allows a user to select a specific "size" or "configuration" based on their environment and the appropriate recommended compute (CPU, Memory, Storage and Network) will automatically be selected as part of the Virtual Appliance deployment. We could have easily changed "Size" to "Deployment Type" (Dev, Test, Prod) or any other definition for that matter since as this is just a string text and configuration mapping. 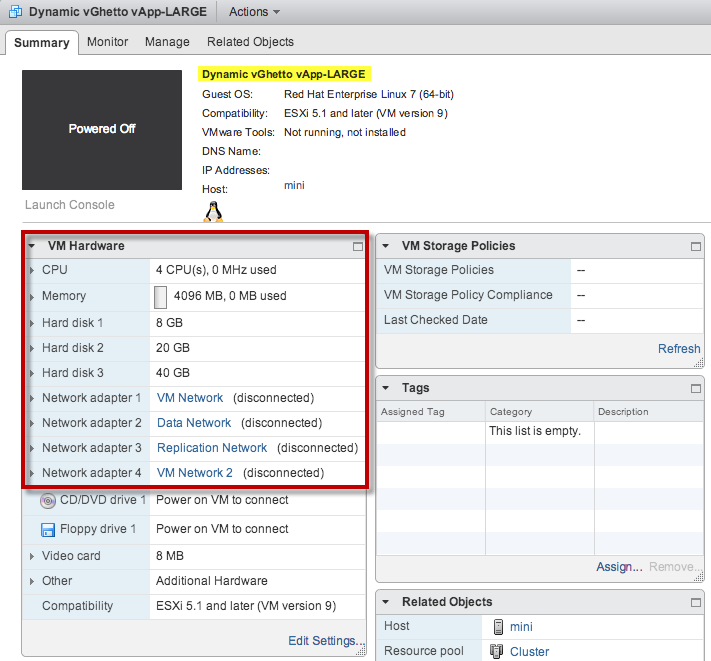 To demonstrate the above configuration using OVF Deployment Options I have created a sample OVF called Dynamic-vGhetto-vApp.ovf that can be downloaded here. 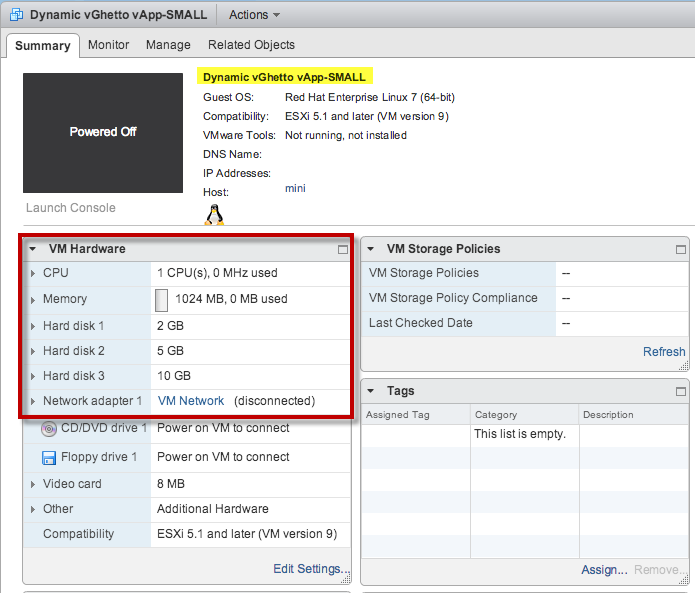 To use the Dynamic-vGhetto-vApp.ovf example OVF, you will need to have access to a vCenter Server since the OVF Deployment Options feature is only available there. 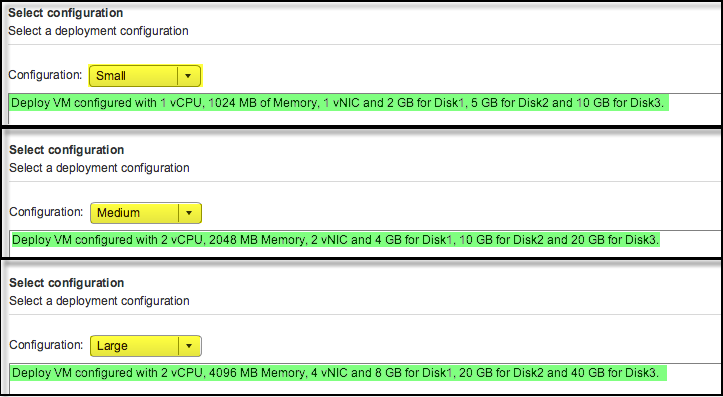 As part of the OVF deployment wizard, you should now see a new section for Deployment Options providing a drop down menu for a Small, Medium or Large deployment and can include a description for each configuration as seen in the screenshot below. For the CPU/Memory section it is pretty straight forward on how it works and you can get more details by taking a look at this blog article here. For the Storage section we are leveraging the recetnly discovered feature of Dynamic Disks and you can refer to this article here for further details. The last compute that we have not taken a look at before is the Network section which will allows a user to assign a certain number of virtual network adapters based on the selected deployment option. Each OVF network label is defined using the ovf:name property and that is then mapped to the appropriate virtual network adapter Item. To control the number of virtual network adapters for each deployment option, you will use the ovf:configuration property and specify the deployment type that are applicable for each virtual network adapter. 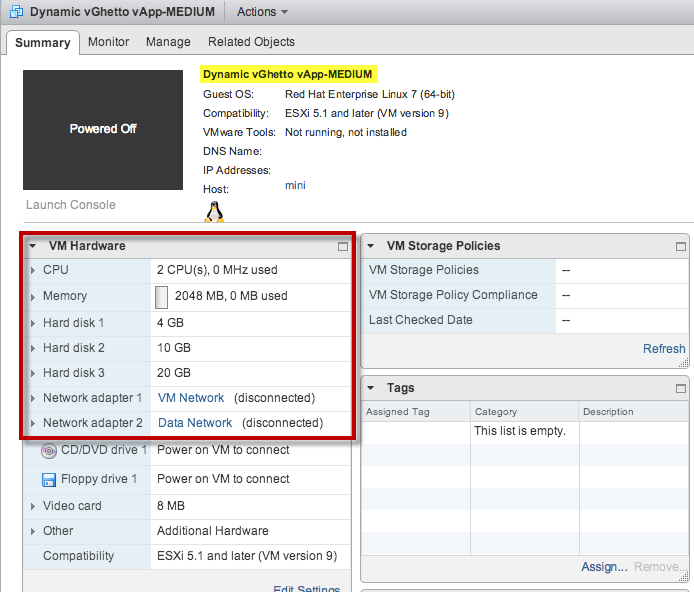 You can refer to Dynamic-vGhetto-vApp.ovf for a complete working example of the Networking section. 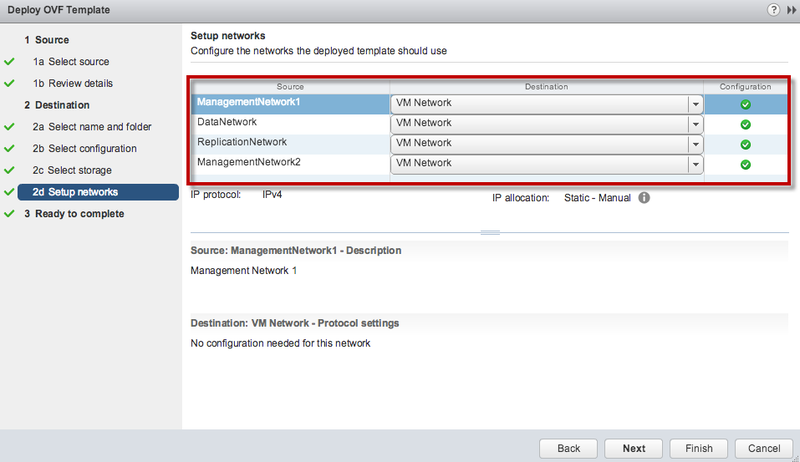 One thing to note for the Networking section when selecting your Deployment Option is that ALL virtual network adapters will be shown in the UI, but you only need to specify the destination portgroup mapping for the OVF labels that will be provisioned for your particular configuration. I know this can be a little bit confusing but you can ignore the others. To give you a concrete example, the "Small" configuration only deploys the VM with a single virtual network adapter which maps to the "ManagementNetwork1" OVF label and this is the only destination portgroup mapping you need to specify, you can ignore the rest. I think this is probably by far the coolest feature of OVF and I really hope to see more Virtual Appliances leverage this feature including appliances built from VMware. I would like to give a big thanks to Anders Madsen for helping me put the final two pieces of the puzzle together for Deployment Options leveraging all four computes.